What do the Olympic snowboarders, skiers, sledders, and hockey players all have in common? Win, lose, or draw – they all wear helmets. If you have been watching the 2014 Winter Olympics as I have, you have seen some nasty skiing, sledding, and snowboarding “wipe outs.” I personally saw one of the athletes crack her helmet as she hit the ground. I bet it saved her life – even if she still got a concussion out of the deal. With that being said, we’ve heard a lot about concussions lately. If you watched the Super Bowl and other NFL games this past season, you heard the word concussion plenty of times. In years past, we would often “blow off” minor head injuries that may have been true concussions, but these days, we take concussions much more seriously. And we do this for an important reason – the research has clearly shown that concussions need to be taken very seriously, diagnosed accurately, and treated appropriately. 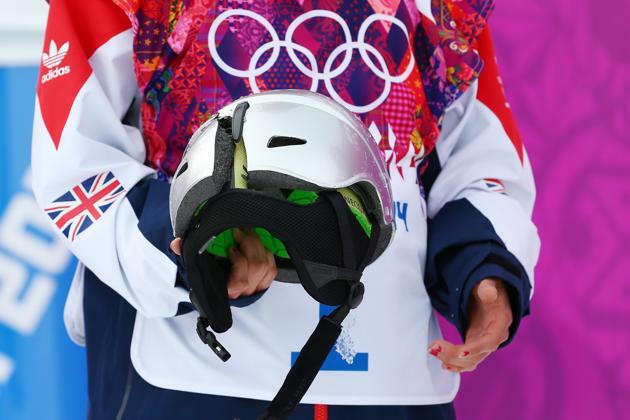 The Olympics – and most importantly the Olympic crashes and wipeouts – highlight the need for children – and parents – to wear their helmets when engaging in activities that could result in head injuries. We simply need to take the appropriate precautions when we engage in sports and endeavors that could place us in harm’s way. Your mother was right – it’s simply better to be safe than sorry. Take it from a guy whose bonked his head a few times – and gotten very lucky – helmet use is very important. No matter what your age or level of experience, whenever you bike, inline skate, skateboard, ski, snowboard, sled, or engage in other activity where your head is vulnerable to injury, you should wear a helmet. Cuts, bruises, sprains, and even broken bones will heal, but damage to your brain can last a lifetime. In an instant your head can smack the street, sidewalk, curb, a car, tree or anything else around you. Some of the most tragic cases that I have seen are closed head injuries and concussions. Sadly, many would have been prevented if a helmet was worn. How do helmets protect you? When you fall or crash the helmet absorbs much of the impact that would otherwise cause a bruise, concussion, skull fracture, or serious brain injury. Thick plastic foam inside the hard outer shell of your helmet cushions the blow. The helmet essentially “takes the hit” instead of your head. Choose the right helmet for the right sport. The helmet should be snug: It does not slide from side-to-side or front-to-back. The helmet should be level: It is square on top of your head, covering the top of the forehead. It does not tilt in any direction. The helmet should be stable: The chinstrap keeps the helmet from rocking in any direction. Choose a bright, colorful one that everyone will see and respect! Young children are particularly vulnerable to head injuries. They have proportionally larger heads and higher centers of gravity, and their coordination is not fully developed. It is more difficult for children to avoid obstacles when biking, sledding, in-line skating, skiing, or doing other activities. Teach by example: Always use your helmet when playing sports with potential for collision. Oh, and parents – remember that it’s not just the kids who need to wear their helmet. Let’s all take a lesson from the Olympians and wear our helmets! Enjoy the rest of the Olympics – and just like an Olympian – be a winner, first and foremost, by being smart and be safe.